Mark is the President of Davis Book Reviews and Healthnets Review Services. He has an intricate knowledge of every aspect of the health system. As a Federal health lobbyist he has come to under the bureaucracy that is now swallowing up the entire medical industry. 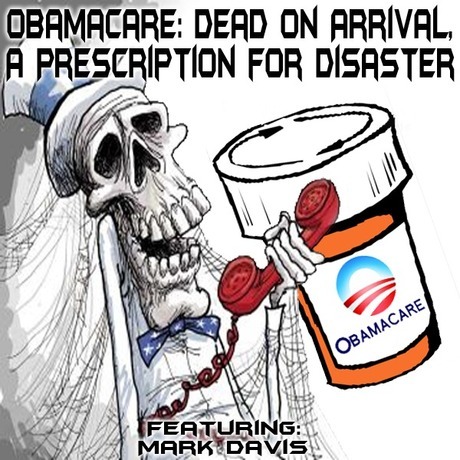 His book on Obamacare tells in detail, the horrific events that follow when medical care is rationed and how it will directly affect you. Like negative outcomes of limiting medical services. Obamacare was never intended to improve medical care and access. Instead this egregious legislation's intent was to equalize the boundaries between the societal classes. Specifically, insufficient ambulances, deficiencies of cutting edge pharmaceuticals, lack of medical specialists and more that led to horrific outcomes.